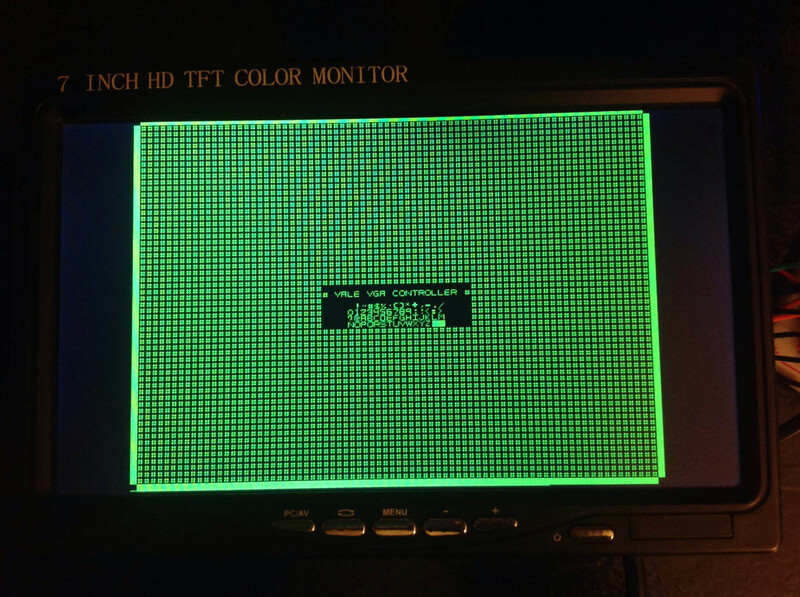 The first version of the VGA controller will support an 80x60 monochrome character cell display. This is actually reasonably close to the finished product, so I'll table it for now. There's some more work to do on the computer before I integrate the VGA controller with it.